EBSCOhost or EBSCOhost: journals, magazines, and newspapers with both full text and article summaries in all subjects. Research in Context: reference, primary sources, creative works, and multimedia, including hours of video and audio clips. eBook: Lincoln Library of Essential Information: A general purpose resource for all ages. Fact on File Online Databases: includes Issues & Controversies, Today's Science, and Classroom Video on Demand. Opposing Viewpoints in Context: today's hottest social issues, featuring viewpoint articles, topic overviews, full-text magazine, academic journal, and newspaper articles, primary source documents, statistics, images and podcasts, and links to Websites. Facts on File: Issues and Controversies: today's crucial issues exploring hundreds of hot topics in politics, government, business, society, education, and popular culture. Points of View: Use Points of View as a guide to debate, developing arguments, writing position papers, and for development of critical thinking skills. AP Images: Photographs, audio, graphics and text spanning over 160 years of history. Discovery Streaming videos: Online digital video-on-demand. Classroom Video on Demand: Unlimited access to more than 24,000 videos. EBSCO Newspaper Source: Provides daily updates for more than 1,400 full-text newspapers, providing more than 55 million full-text articles. Follett eBooks: Sign in to access them online from anywhere OR download and view eBooks offline, which checks out the book to you and lets you use search, highlighting, note-taking and copy/paste/print features. Infobase eBooks: Online editions of nonfiction titles in History, Science, Health, Religion, Character Education, Biographies, and Politics. Gale Virtual Reference Library eBook collection: a database of encyclopedias and specialized reference sources for multidisciplinary research. Lerner eBooks: nonfiction and fiction books that educate, empower and entertain readers. Salem History: Online editions of History titles including biographies, milestones, documents, decades, and careers. epointplus by Rosen: So far, this collection includes books on the Social Sciences - Psychology, Sociology, Anthropology, Politics, and Economics. eBooks collection: So far, this collection includes books on geography. EBSCO Biographies: Thousands of biographies supporting a multitude of subjects. E-Book: Great Lives from History: 20th Century: A worldwide biographical resource. E-Book: 10,000 biographies of famous people from around the world. Over 2,000 illustrations. EBSCO Legal Information Center: This database offers the everyday user the necessary tools and detailed “how-to” instructions to independently address a wide-range of legal issues including business law, financial planning, family law, property & real estate and rights & disputes. EBSCO Small Business Center: Small Business Reference Center™ provides up to date information on relevant topics from starting a company, operations management and sales to growing or rescuing a business. New Jersey Next Stop ...Your Career: New Jersey's industries, jobs and cutting-edge career paths to satisfy your skills and talents. Occupational Outlook Handbook: Career information on hundreds of jobs including the training and education needed, earnings, expected job prospects, what workers do on the job, and working conditions. CareerOneStop is funded and developed by the U.S. Department of Labor. Inter-Library Loan: Our students may search for library books in libraries throughout the state of New Jersey and have the books delivered directly to the school for free. Gloucester County Library in Mullica Hill: Search the Gloucester County Library collection online. Need a library card? Apply for one online! Bloom's Literature: Bloom’s Literature features content from Facts On File’s extensive literature collection; 100s of Bloom’s essays; 1000s of critical articles published by noted scholars; extensive entries on literary topics, themes, movements, genres, and authors; and 4,300+ videos and video clips. EBSCO's Literary Reference Center assists high school and undergraduate English and Humanities students with homework and research assignments of a literary nature. A readers' advisory solution for fiction lovers. NoveList answers the questions: "What should I read next?" and "What book is similar to the one I just read?" NoveList Plus: A readers' advisory resource for fiction and nonfiction. NoveList Plus answers the questions: "What should I read next?" and " What book will help me learn more about that subject?" eBook: 500 articles on Greek and Roman mythological figures with over 300 illustrations. Poets.org: The official website of Academy of American Poets, Poets.org offers hundreds of essays and interviews, audio clips, as well as biographies of more than 500 poets and over 2000 poems. Modern American Poetry: A good site for locating criticism of modern American poetry and poets. Health Source: Consumer Edition from EBSCO: Access to nearly 80 full-text consumer health magazines, including American Fitness, Better Nutrition, Harvard Health Letter, Men's Health, Muscle & Fitness, Prevention, Vegetarian Times and many others. Also included in this database is searchable full text for current health-related pamphlets and nearly 130 full text health reference books. Teen Health & Wellness: A comprehensive database subscription allowing teens (and those who care about teens) to research health-related issues important to their well-being. It's both a research/report tool and a self-help resource. MedlinePlus: the National Institutes of Health’s consumer health website for consumers and health professionals. E-Book: 700 inspiring stories with 1,500 illustrations of athletes from all sports. ABC-Clio: Social studies databases: Covers daily life through history, American government, American history, and modern world history. Annals of American History: Speeches, historical accounts, memoirs, poems, images, and multimedia. E-Book: 101 men and women who shaped our world. Over 1,000 illustrations. E-Book: Over 6,000 illustrated articles of people, places, and events in American History. History Reference Center: U.S. and World History, prehistory to the present. E-Book: Great Events from History: 20th Century: The complete resource for worldwide events from 1971-2000. American Memory: A multimedia web site of historical documents, photographs, sound recordings, moving pictures, books, pamphlets, maps, and other resources from the Library of Congress. United States Holocaust Memorial Museum: Many resources for students striving to learn the history of the Holocaust and reflect upon the moral and ethical questions raised by that history. 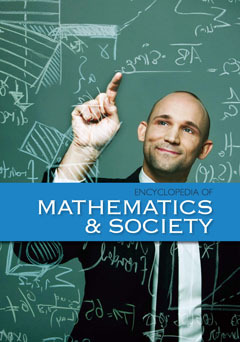 Encyclopedia of Mathematics & Society: how mathematics affects our daily lives in sociological, economic, and historical perspectives. Engineering & Mathematics: understanding the interconnectedness of the different and varied branches of engineering and mathematics. Today's Science: updated weekly to explain important developments in biology, chemistry, the environment, space, physics, and technology. EBSCO's Science Reference Center: Topics covered include: biology, chemistry, earth & space science, environmental science, health & medicine, history of science, life science, physics, science & society, science as inquiry, scientists, technology and wildlife. EBSCO's GreenFile: These scholarly, government and general-interest titles resource draws on the connections between the environment and a variety of disciplines such as agriculture, education, law, health and technology, and topics covered include global climate change, green building, pollution, sustainable agriculture, renewable energy, recycling and more. This collection also includes content on the environmental effects of individuals, corporations and local/national governments, and what can be done at each level to minimize these effects. The Weather Channel: Features current weather conditions and forecasts for over 77,000 locations worldwide, along with local and regional radars. How Stuff Works: The award-winning source of credible, unbiased, and easy-to-understand explanations of how the world actually works. Referencia Latina: a Spanish-language database with content from a variety of sources including 49,000 encyclopedia entries; 50,000 images; 2,500 health reports; a Spanish-English dictionary and full text for over 100 reference books and general interest magazines. EBSCO's Spanish Health: Provides comprehensive evidence-based reports and fact sheets related to all aspects of health and wellness. Global Destinations: Online resource of country profiles with links to recipes for that country or region's cuisine. ERIC through EBSCO: The Education Resource Information Center provides access to educational literature and resources. Note: Our databases are subscriptions paid for through the school's budget or the state library system of New Jersey.